We always want to bring you great articles with a broad spectrum of technologies on our blog, even some we currently don’t support on Codeship, like .Net. We recently tweeted about such an article and saw a lot of interest in it. Let us know what technologies you are interested in in the comments so we can get you the best articles and information! David Neal is a father, geek, musician, and software developer living near Chattanooga, TN. He has spent the last several years building high-performance, scalable web applications, and currently works at LeanKit as a Developer Advocate. David served as president of the Nashville .NET User Group for 2012 and 2013. David is passionate about software craftsmanship, user experience, music, and bacon. You can find David on Twitter as @reverentgeek. I’ve looked at Node.js many times over the past few years. It is hard to ignore all the attention it has received. Unfortunately, being heavily invested in Microsoft technology, one of the reasons I have never got very far in learning Node.js is its lack of support for SQL Server. If you’ve ever tried connecting to MS SQL Server from Node.js, then you know that the modules currently available are incomplete and immature. Microsoft released an official SQL Server driver. However, it is still “preview” technology with a number of missing features and outstanding issues that haven’t been addressed since its release. Note: As of this writing, Edge.js works only on Windows – there’s a Beta for OS X though. This should print the current version of Node.js. The first command installs Edge.js. The second command installs additional support for SQL Server. You should see “Hello World!” printed immediately to the console window. In these next examples, we need a database to query. If you do not already have SQL Server installed, I recommend you download and install the free Microsoft SQL Server 2012 Express. Also, be sure to download and install the free SQL Management Studio Express. In SQL Management Studio, create a new database named node-test and accept all the defaults. Right-click on the new database and select New Query. Copy & paste the following script and click Execute. Note: This environment variable is only good for the current command prompt, and will go away when the window is closed. If you are using the Node.js Tools for Visual Studio, you will need to set a permanent environment variable and restart Visual Studio. > SETX EDGE_SQL_CONNECTION_STRING "Data Source=localhost;Initial Catalog=node-test;Integrated Security=True"
and copy & paste the following code. Open your web browser, and navigate to http://localhost:8080. If all goes well, you should see a list of five users. Edge.js supports only very basic parameterized Select, Insert, Update, and Delete statements. It does not currently support stored procedures or blocks of SQL code. So, if you need to do anything more than a trivial CRUD operation, you will need to implement that in .NET. The Node.js execution model is a single-threaded event loop. So, it is very important that your .NET code honor this by being fully async. Otherwise, a blocking call to .NET would create havoc for Node.js. Our first step is to create a sample class library in Visual Studio that we can compile to a .DLL and use with Edge.js. – Create a new class named Sample1. // Paging the result set using a common table expression (CTE). // ORM that supports async. and copy it into the Node.js project folder. Bonus homework: Use the Connect module to parse query string parameters and set the pageNumber and pageSize values dynamically! Edge.js appears to be a very promising solution to bridge the gap between Node.js and the world of .NET. Although .NET code can be executed in-line, I highly recommend managing all .NET code in a separate assembly. An ORM can make your life much easier. I prefer Micro-ORMs that aren’t heavy-handed and let me do my own thing. Unfortunately, not many ORMs have adopted async support. AsyncPoco and Insight.Database look promising, but I have not tried them. If you use Visual Studio, download and install the Node.js Tools for Visual Studio. Remember, stay async in .NET as much as possible! Test, test, test! Profile your application’s memory, CPU, and concurrency under load to ensure something isn’t going terribly wrong between Node.js and .NET. If your motivation for using Node.js is concurrency and scalability, or reducing your Microsoft licensing footprint, you may want to consider benchmarking Edge.js against a message queue architecture. Take a look at using RabbitMQ or ZeroMQ between your Node.js and Windows environments. A message-based architecture has many benefits. Use the solution that works best for you. Consume copious amounts of caffeine and bacon. 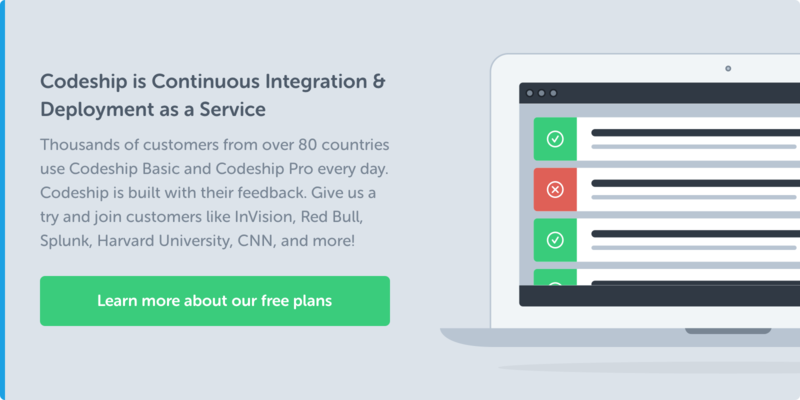 PS: Codeship lets you test and deploy your Node.js projects. 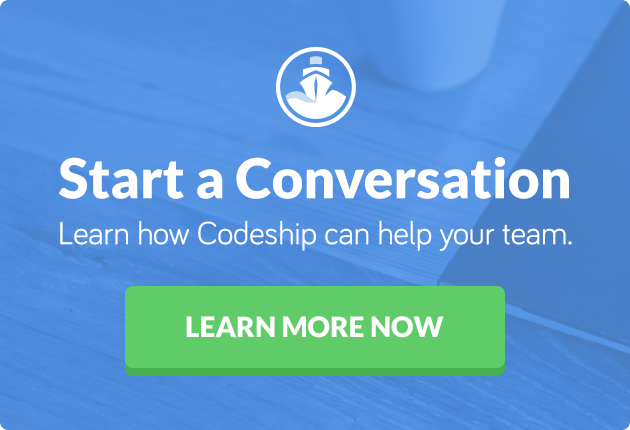 Set up Continuous Integration with Codeship today.